Finally the time had arrived to - as current world drivers champion Sebastian Vettel said - "pull down your trousers & show what you've got" The weather had significantly improved since Friday practice 1 & 2 and the teams had gained some crucial dry running time earlier on in the day in Friday practice 3 (FP3). The first session started out with all competitors getting in some installation & banker laps on the white mark hard Pirelli compound to learn how the track felt. 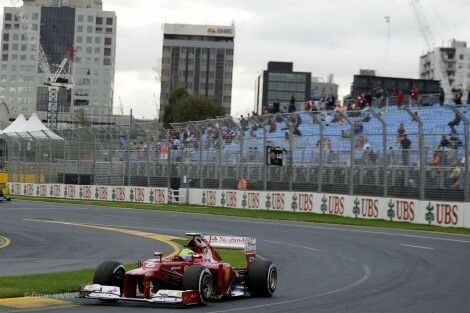 Nico Rosberg though of Mercedes GP stayed out and set the first timed lap of qualifying in the 2012 season. Interestingly it was rumoured both Lotus Renault & Red Bull Racing would appeal the results of qualifying due to there beliefs that Mercedes rear wing f-duct is in fact illegal. Quickly arrived the final 5 minutes of Q1 and the arrival of the yellow marked soft tyre compound. The difference between this weeks compounds was thought to be 0.6s but the times started to tumble rapidly. 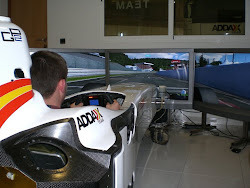 This nearly caught out top dogs such as Mark Webber who thought they were safe with the time set on the hard compound. Ferrari's troubles were highlighted once again as both drivers were forced to use a set of option tyres in Q1 to secure there place in Q2. Despite this Brazilian Felipe Massa still finished 17th and escaped a high profile exit in the first qualifying of the season. Sadly for Kimi Raikkonen the Lotus Renault driver went wide onto the astro turf at turn 11 and lost time meaning on his return to F1 was knocked out with both Caterham's, Merussia's & the HRT's who didn't make the 107%. 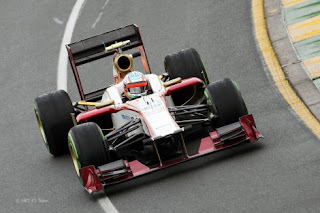 Despite this both Narain Karthikeyan & Pedro De La Rosa are expected to be allowed to race. If HRT & allowed to race they could be facing penalties for both drivers Narain Karthikeyan if under investigation for 2 separate cases of blocking whilst team Pedro De La Rosa just the once. Qualifying 2 started with both Ferrari's quick out the box on a set of used options to try and get a time in but this quickly turned into the first red flag of the season. 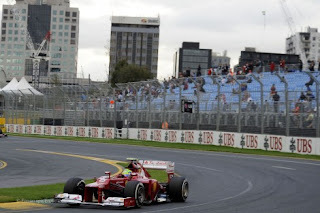 Fernando Alonso placed the left hand side wheels on the grass upon entry of turn 1 and spun into the gravel trap. Although the 2005 & 2006 world drivers champion kept the engine going and frantically asking the marshals for a push, they refused and he was out and placed 5th at that time. The session restarted after Fernando's car was lifted away and his team mate was first out, he was followed out by both Mercedes who were on new options as there attempt to play it call and leave it late ended up with them loosing a set of options when Alonso's off caused the red flag. The chaotic final minutes approached and the whole of the midfield were digging deep to find the extra few tenths needed to edge into the top 10 shoot out. 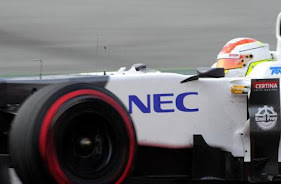 Both Sauber drivers who previously in Q1 looked mighty had a poor Q2 with Kamui Kobayashi finishing 12th (1 place below Alonso) and Perez who for unknown reasons didn't set a time. When the clock reached zero and everyone completed there laps Romain Gorsjean, Daniel Ricciardo, Nico Hulkenberg & Pastor Maldonado were victorious in reaching the first top ten shoot out of the new season, getting there advantage over there team mate this weekend. Shockingly both Ferrari drivers ended up out in Q2 with Fernando Alonso finishing 12th despite spinning off, and Felipe Massa just struggling for mechanical & aerodynamic grip. The first shoot out of the season started with both Mercedes GP, McLaren & Red Bull drivers heading out to set there first timed lap. The Mercedes were restricted to a set of used options due to using an extra set in Q2, unlike both other teams who had the availability of new options. After the first run Lewis Hamilton lead the charge leading by 0.7seconds from second place. It had come to light that the super lap everyone was expecting from Red Bull was not going to happen as Vettel & Webber were unable to get anywhere near the McLaren driver. The midfield teams who got through to the last sessions all decided to make a strategical call and not run during Q3. This allows them to have more fresh sets of tyres tomorrow and opens up the options for there pit stop strategy tomorrow. The final run had now arrived and Vettel entered his classic procedure of being last out on track, therefore last over the line. Despite this tactical call it didn't help the world champion. Jenson Button & team mate Mark Webber jumped ahead of Vettel on the time sheet - Webber by just 0.04seconds whilst carrying a KERS issue. 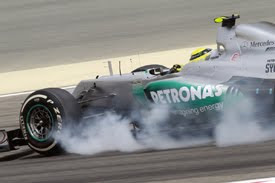 Nico Rosberg locked his front right tyre upon entry of turn 3 overshooting his breaking point - perhaps due to the use of his "super DRS" - and could only manage P6. 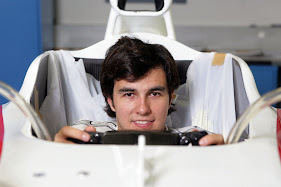 This was until 2011 GP2 champion Romain Gorsjean impressively flew his Lotus Renault around Albert Park and earned a P3 just 0.380seconds off pole and bumped German Rosberg down to P7. This left Brit Lewis Hamilton to coast into the pits and not even have to worry about finishing his 2nd flying lap. 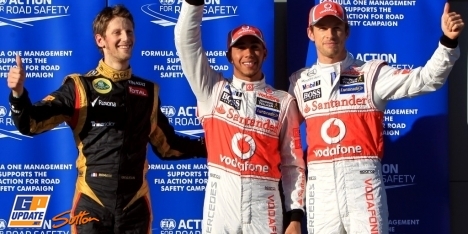 This is the first 1, 2 that McLaren have had with Jenson & Lewis at the wheel of a McLaren car.